No matter how digital I get, there are a few cameras that I will never part with. Today's analog favorite: the Hasselblad 500C with Zeiss Sonnar 150mm f/4 lens. 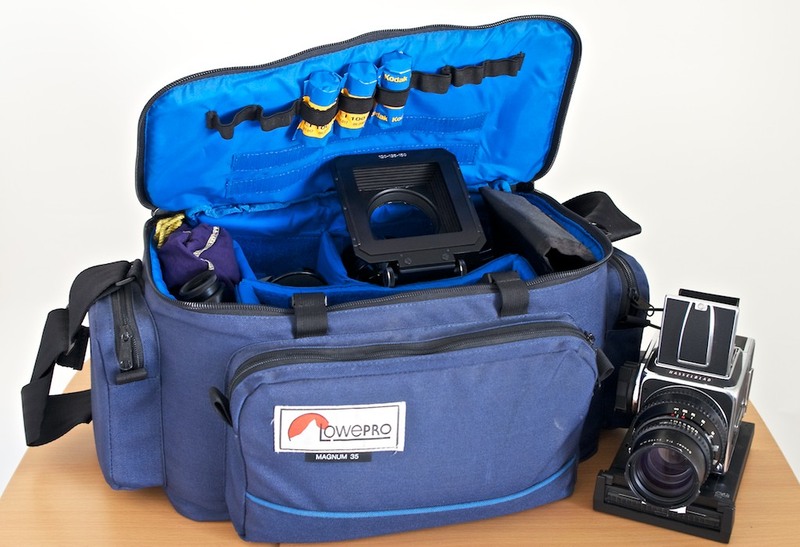 And to house it all, another classic: the Lowepro Magnum 35 camera bag. A couple times a year, I pull out older cameras that I haven't used for a while and fire off a few frames -- just to keep them in good working order. This particular 500C was serviced about 8 years ago, and it sounds like an expensive Swiss watch when I wind the film advance crank. And to house it all, another classic: the Lowepro Magnum 35 camera bag.